Hard shell in hard resistant PA6. Perfect fit to the clutch cover. Shame because fit and quality of cover is excellent and if not for the bolts I’d give this a 5 star rating but after reading reviews I saw one guy complained about breaking a bolt and they were cheap I was like “ha he overtightened it” so going into this with a conscious of being easy with the bolts I used a torque wrench and one broke off inside the case before being able to torque to spec per the manual. Very disappointing that they cheaped out of the bolts. So be careful! Nice little piece of kit. Fairly durable, but it will show some marks from boot wear. Very durable for plastic. Install is fairly straightforward. It does require removing the bolts for clutch cover, so either drain the oil, or lie the bike on its side. The fitment on the motor is nice. It will, however, likely get rubbed by the brake pedal if you're on a KTM. Not sure about other makes. But it doesn't inhibit the movement of the pedal. Obviously the colored ones will show a little more wear and dirt compared to the black. I bought orange and black for mine and my boy's bike. And be careful of the torque. The bolts supplied by Polisport have slightly larger heads. So they won't require as much effort to strip the aluminum in the case. KTM already recommends too much torque as it is on those tiny bolts. Final assessment: I would purchase this again. It's an inexpensive way to save the cover and keep the bike looking in decent shape. I was suspect of a plastic case guard, but after sliding sideways into a tree and destroying my brake lever and leaving my case safe, Im sold. Looks great and can be easily replaced unlike the metal ones that you epoxy on. I was excited to use this cover on my new bike. I was hoping to prevent punching a hole in the case cover like I did on my last bike. Installation is a piece of cake and it looked really trick. The problem occurred when I went to set up my rear brake lever on my first ride. I tend to set my lever high. I was unable to as this protector is just thick enough to prevent the lever from getting pass. I could not set the lever much higher than level with the foot peg. I could have bent the brake lever out a bit, but I shouldn't have to do that on my new bike. Unfortunately, I removed it. I'm hoping to return it. Well made and offers lots of protection for the cost. Of course there is a downside as it sticks out 1/4" + or more. But for some this is not an issue. Basically unless you shell out $160 for a billter this is the next best thing. As a protection looks ok and seems to be hard, though, the orange color is SOOO DIFFERENT from KTM's orange, it looks nothing like it, its dark orange, like a pumpkin or something like that. I'd recommend it as a protection, but if u can go with the original ktm's clutch cover go for it, my brother bought it in another mx store simultaneously and looks just like ktm's orange, and did cost the same, shouldve never gone with polisport. Easy to install and the fit looks great. It adds a lot of protection and is worth the money! I like the cover. It fit well. It has definitely payed off. But it does have its down sides. It gets in the way of removing my oil filter cover. I had to trim it so I don’t have to remove it for a oil change . And it didn’t fully save my clutch cover. It saved it from a leak for sure. Which I’m greatful for. But there is still a dent in my clutch cover. I would recommend a billet clutch cover before this. But this is a great budget friendly option. Ridden a couple times with this on and it does the trick. I'm hard on my clutch cover so this should help from all the wear I'd typically put on. Takes only a couple minutes to mount and fits really well. The only thing I've noticed as a possible side effect is it hides a bit of the brake lever tip. I'll either adapt or get a larger tip at some point. This is a no brainer. It’s cheap and offers great protection with essentially no weight gain. Just as describe, easy to install, gives extra protection! Cover ok, mounting bolts are garbage. Looks ok, but comes with garbage mounting hardware. The long bolt snapped. Spent a few hours fishing the nub out. I would recomend getting a beefy cover instead. I drop my bike A LOT, and honestly only got this because I've moved and started riding much rocker terrain. It's a decent piece, but if you don't have a ton of rocks where you ride, I'd skip this as it's not worth the price, or hassle. * Fitment around the brake pedal isn't great. It doesn't interfere, but it touches. This might be an issue for you if you like your brake pedal higher than stock. * Partially blocks access to the gear oil check bolt. You can no longer get to it with an 8mm socket and have to wiggle a torx bit in there. This is a fairly significant pain if you ride a lot and need to maintain your bike regularly. * Fitment around the entire cover is kind of a pressure fit, so it's hard to torque the bolts evenly. Decent clutch cover protection. Not bad. Pretty nice quality and they look great. Could be a little better fit. Because the fit isn’t perfect you have to be careful how you torque them down since pulling on one side vs the other where the bolts go in. If the fitment was better would give this better review but still happy with it. Product fit well and keeps my boot off my cover. Went on easy and bolts sent with it were just right. Great value, I install it in 5 mins. My riding boot was rubbing pretty hard my clutch cover, and now this is prevents constant hitting of the oem cover. I do recommend. Do not buy if you have a Rekluse clutch cover. 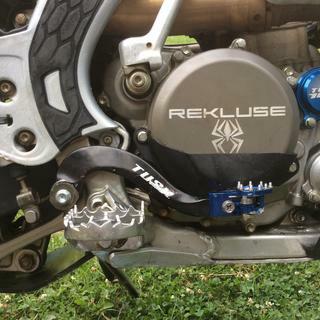 This clutch cover is a great product and I have used it on previous dirt bikes that I have owned! But if you have a rekluse clutch cover it will not fit!! The fitment on my 2014 RMZ450 was perfect. 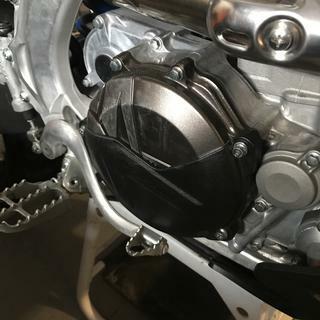 It was easy to install and the cover protects the clutch cover. It not only protect the clutch cover from your boots rubbing the finish off, it will also protect the clutch cover from an impact. I bought the yellow color and it matches the Suzuki plastic. I also like the the way it finished off the looks of the bike. Its a trick part and I will buy this part again for my other bikes. I recommend this part for motocross and off road riding. 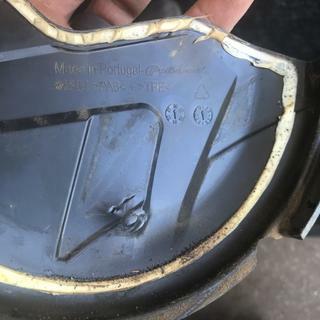 I have had 3 clutch covers busted by someones foot peg bashing the cover, while riding trails I had a tree limb crack a cover and I also fell on some rocks and cracked a clutch cover. 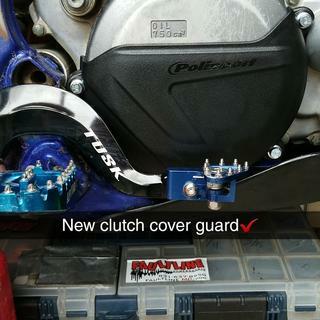 The Polispot Clutch Cover Protection would have saved me from replacing the cover and getting stuck on the trails and having to DNF in the moto. Great piece! Fits perfect didn't have to do a single bit of trimming and looks awesome. Having broken a few clutch covers this is definitely worth the $32! Nice color, looks good and protects well. Easy Install. Well worth the price v/s trail side clutch cover repairs! Excellent fit. Super simple to install. Does not interfere with foot brake lever. If you are a torque freak like I am, the installation is a bit tricky. It's a plastic piece that comes with metal sleeves to insert into the holes where the bolts go. I was torquing it to ktm specs but the bolts were going and going(like energizer bunny). No , there is nothing wrong with my wrench. I think the sleeves are getting pressed into the plastic. I also had to file a bit of plastic because my brake pedal was getting stuck. 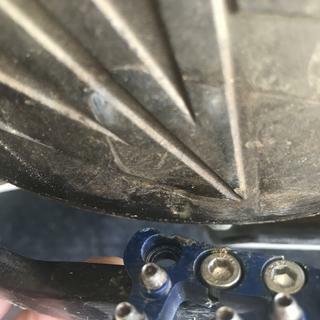 So the one I bought was supposed to fit a 2014 KTM 350XC-F. Well it aligned and fit real nice but, two of the three screws that come with the kit were too short. I ended having to buy longer screws. I don't consider this a big deal but, it was a little frustrating. this is a great product, although if you have an aftermarket billet cover this product may not fit. Looks good and fits snug. Great protection from boot wear and rocks. Looks sharp as well. Gives you extra piece of mind from rocks, nice product. Great cover ! Protects the clutch cover from boot rub with out interface of rear break pedal! Comes with all mounting bolts. Does this use stock cover bolts?. BEST ANSWER: No. My 2017 Husky FE450 cover came with 5mm longer bolts. If you want the stock style bolts just measure the thread length of the bolts that came with the cover. Once you have the length search for that size on a different part of the crankcase or engine cover in the OEM parts finder. You may need to search other engine sizes (e.g. 350 vs. 450). The cover comes with new bolts . You use a combination of original and new bolts . No it comes w bolts and is very easy to put on. Maybe a ten minute install. No. Mine came with longer bolts and bushings. No. It comes with 4 longer replacement bolts. It comes with replacement bolts. No, it came with longer bolts. With sotck bolts fits good. Anyone use this on a 2014 ktm 300 xcw 2-stroke? I was looking to get their water pump cover as well, all of the water pumps look pretty similar. BEST ANSWER: The clutch covers listed on Rocky Mountain ATV will only fit the four strokes for now. I purchased the cover for my 2016 500exc and it fits perfectly. I also have a te 250 2015 which has the same clutch cover as a 300xc-w. The four stroke covers won't fit the 250/300 two strokes. I asked rm and they were talking about stock possibly coming in next year. I highly doubt the water pump covers will fit. By the way the paint will still rub off slightly on the upper edge of the clutch cover even with the Polisport protector on. 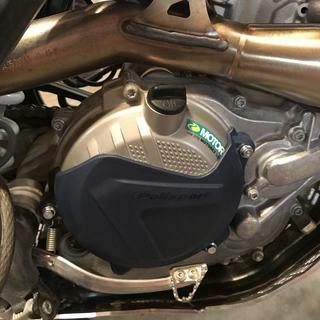 Thanks for that info, I wasn't sure if the Huskys have the same clutch cover but according to polisports site it looks like the husky one should fit since it's the same part number 8460200001. No but I put it on my 2016 450 xc-w works great to protect clutch cover from rocks and your boot. I got a black one because the orange one gets dirty from your boots and dose not clean off.I also have a 2014 300 xc-w but I put A slavens billit clutch cover on that. Good point on getting black! I was going to get the slavens cover but I went with the Hinson. I wanted to add the polisport cover for extra protection. Will this fit a 2016 CRF250R? To see if this part will fit your machine please enter the make, model, and year into our "Choose a vehicle" drop down boxes found above the product image. If your machine is not listed, we may not carry the right item for your application. If you have a 2017 year model but don't see your machine as an option, please contact a tech via Live Chat or call us at 1-800-336-5437 for assistance. 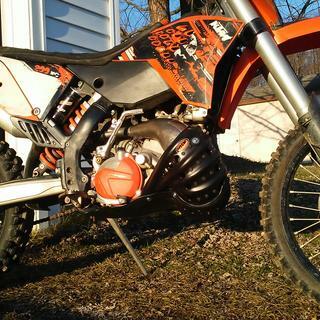 Used on a Honda CRF450R and is very awesome, you wont regret. Is the orange the KTM 16+ bright orange, or a dull pumpkin orange? BEST ANSWER: Hi Scott, it is actually between those two colors. I have them on both of my KTM's and believe they look fine. Dull pumpkin. Doesn't really match the rest of the orange. I would get the black next time. It's more the dull orange. It is a dull orange. 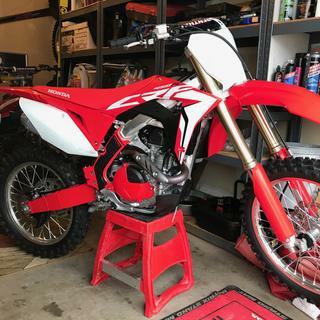 I HAVE THE NEW 2019 HONDA CRF 250R , WILL THE THE 2017 PART FIT MY 2019 /? 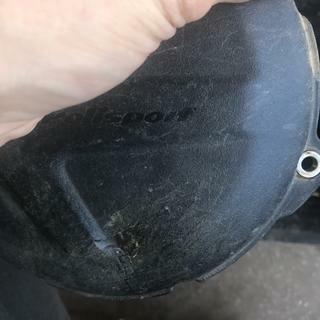 Look on the polisport website to see what year models this part will fit. so in that case, either the 18 model changed and the part won't fit or the company has not updated their website to indicate this thing will fit the 18 model. do they list a different part that fits 18 models? if yes, then the 17 part won't fit. if they don't make a part to fit 18 models, then I would determine if the 18 models were changed from 17 models. You can do this by searching for test of the 18 model, and seeing if there were engine or other changes to the 18 bikes. or maybe you can go to a dealer and compare the 18 model to your bike. BEST ANSWER: They are fairly custom fitted for the stock clutch cover. So, if the Rekluse is different, it probably won't work. 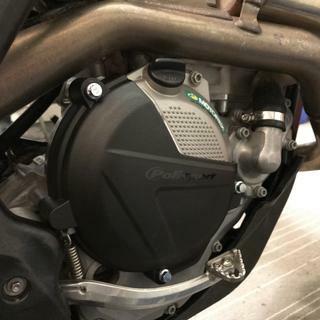 Does this fit a 2019 kx450 the polisport catalog states it does though RM doesnt? 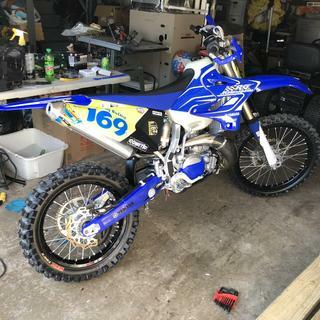 will this fit a 2018 YZ 450F? Will this fit a 2009 SX-F 250 4 Stroke? 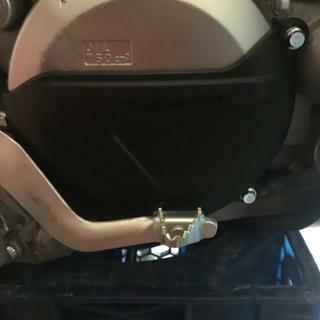 Will this fit 2018 Beta 300RR? BEST ANSWER: Yes, you will just need to enter in your machine in the drop down boxes above the product image. 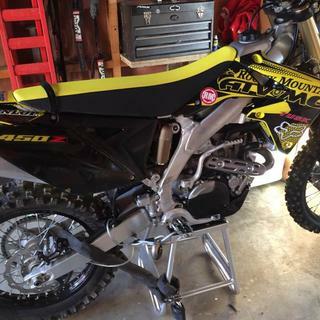 Will this fit 2013 ktm 150sx.. it is not listed but the 2013 ktm 125sx is? Would that be the same fitment? BEST ANSWER: No these will be different and will not work on the 150sx. Will this fit 2013 ktm 150sx..it is not listed however it does say it will fit a 2013 ktm 125sx..would that be the same fitment? BEST ANSWER: Yes, this product will fit the 150 SX and the 125 SX. 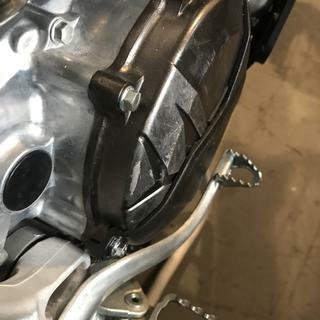 Will this fit a 2018 Honda CRF250R? BEST ANSWER: Unfortunately, this will not fit the 2018 CRF250R. Don't have for Beta 300RR 2017 ? BEST ANSWER: Sorry, we don't carry this part for a Beta 300RR. Will this fit an 2008 kx450?